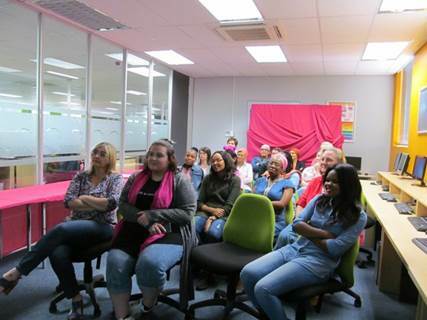 On 20th October 2017 local RFR Uitenhage Chairperson Estelle Botha was invited to do several breast awareness talks in 20 minute sessions at the Aegis Company within VW. It is a call centre where many people work on the same floor. Sessions started at 11:00am and ended at 3:30pm. What a great way to create give staff the opportunity to learn more about breast cancer and the importance of dearly detection! They collected about 30 new bras to give to us for patient support. 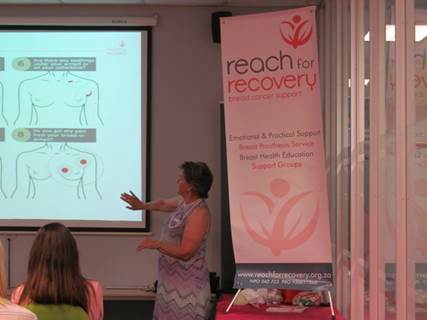 We are looking forward to welcome the organiser of the event to join Reach for Recovery next year as she is a survivor!